Clark Agricultural Coulter Injection-Knife Assembly options come with a wide range of options. The NCIK346 coulter sub-assembly with welded coulter injection arm can be purchased with or without blades and with straight coulter shanks or offset coulter shanks. Assemblies include welded coulter injection arms, 30 degree locking collars and a wide variety of blade options. The coulter knife injection for the NSD346 series coulters features the N395 or N396 mounting brackets and special shim sets. Options are available packaged with stream injection mounting brackets and injectors with either poly or stainless steel check valves. Order as a kit, or order individual parts. All parts include Dorrltech coated bolts, nuts and split lock washers. All Clark Agricultural products can be shipped fully assembled including all hardware as a ready to install coulter unit. Blades options include Ripple Blades, Straight-Edge Blades, and Plain Coulter Blades. Coulter assembly options for injection-knife units does not include clamps. Injector assembly, nozzle holder, rock guard assembly and knife mounting bracket are included only as mentioned in kit contents. 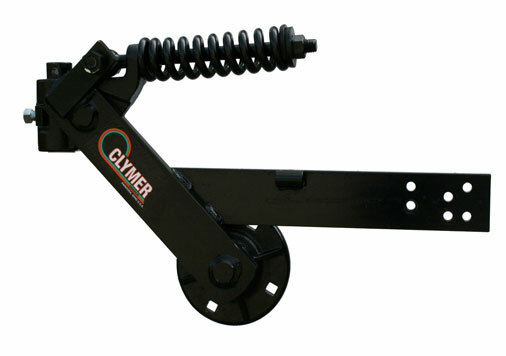 Clymer Coulters and Clark Agricultural products are technologically superior in function while maintaining the same simplicity of design since their start in 1937. Expect years of top performance from every product in our full line of commercial fertilizer application and support equipment.